Colts fans today know Lamey as the excitable longtime voice of the team. Before that, however, he was the excitable voice of the Pacers (1977-84) and the Racers and Checkers hockey teams. He followed Joe McConnell as the Pacers’ radio voice, and was equally known for his hockey broadcasts. “Hockey Bob,” they called him. 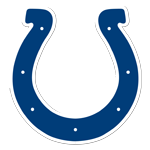 Lamey has been the voice of the Colts since they moved to Indianapolis in 1984, with the exception of the 1992-94 seasons when McConnell did it. Lamey has been working games here for so long it seems like he’s a native. But he grew up in Pennsylvania, attended college at Texas Christian University and then got a grad degree at Ohio University. Announcers who survive for decades as Lamey has become part of the fabric of the community and the teams for which they work, and he’s no exception.